For a client dinner in Las Vegas we dined at Trattoria Fiamma at MGM Grand Hotel and Casino. Diners selected beef and other wine friendly dishes. From the winelist I selected an obligatory Italian, a Massolino Barolo, and then two well known popular Napa reds - BV Tapestry Reserve and Keenan Merlot. Only the largest cities offer the culinary selection of Las Vegas which also commands big city prices. The major hotels and casinos feature the world's greatest chefs' restaurants and the broadest range of dining choices. Each hotel is more sensational than the next. The MGM Grand features the incomparable Joël Robuchon French restaurant, Emeril's highly acclaimed New Orleans Fish House (where we dined last year during this same event), Tom Colicchio's Craftsteak (where we dined two years ago at this event), Shibuya swank Japanese sushi restaurant that offers over 125 sakes, and Fiamma Trattoria (left) with sophisticated traditional Italian cuisine. Each offers impeccable service, knowledgeable wait staffs and sommelier wine service with award winning winelists. Equally sensational as the surroundings are the architecture and design of the dining rooms and their eye-popping showcase wine cellars. A stop in Joël Robuchon to view the menu and winelist revealed rare selections such as 1947 Château d'Yquem for $37000 (see our tasting of the fabulous Château d'Yquem 1986 this same week). 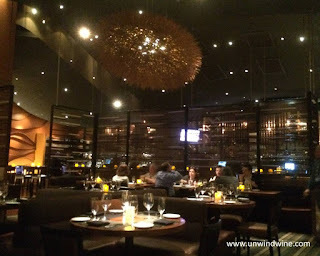 The major hotel/casinos have upscale restaurant that offer such treasures - (see my blogposts on the fabulous Aureole Restaurant). 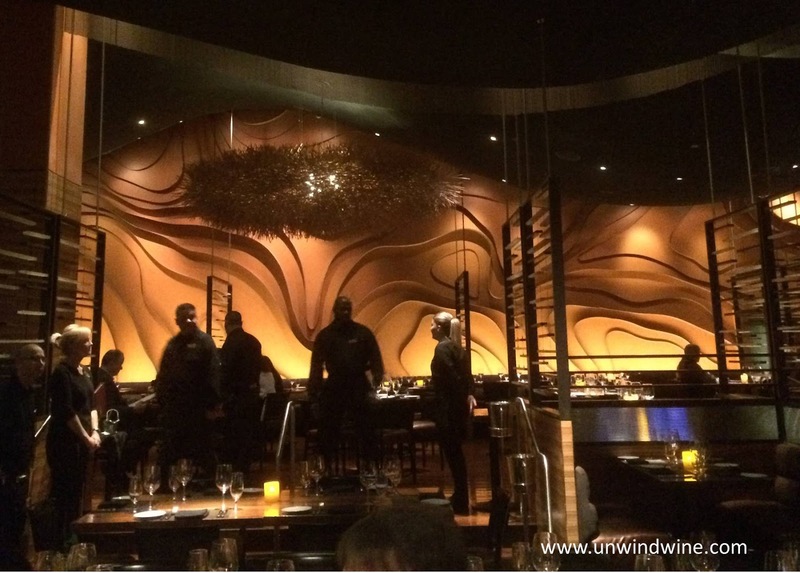 Such a gathering in such close proximity is truly a Las Vegas sensation making it a culinary destination in its own right. Our business focused non-wine enthusiast crowd called for a modicum of reasonableness in moderate wine selections. Hence, I chose some carefully selected, moderate priced well known predictably pleasant, easy drinking reds that would appeal to the group. The extensive winelists offer choices in all price ranges and styles. The disparate styles of the three wines suited the range of entree selections. I've learned that such encounters often result in a wine discovery for some of the diners who want to note the wine and try to obtain some to repeat the experience back home, hence I selected a couple wines that are generally available that provide repeatable quality enjoyable drinking at reasonable prices. We Midwesterners were basically meat and potatoes guys who feasted on a Midwestern style beef faire that was in abundance on the menu despite the Italian cuisine. All were excellent and great accompaniments to the red wine flight. This is a Nebbiolo varietal based red. Much lighter than I expected - slightly astringent. Light brick garnet colored, medium-light bodied, aromas and flavors of slightly tart cherry, strawberry, herbs, tobacco, clove spice, rose petals with hints of tar with soft, medium tannins on the moderate finish. 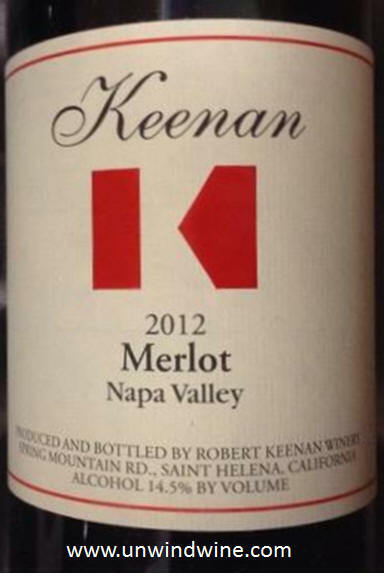 We're big fans of Keenan Spring Mountain Bordeaux varietals. We visited the winery during our Napa Valley Wine Experience 2007. Nice approachable easy drinking red, even in its youth - could've passed for a Cabernet, perfect for the occasion, cuisine and a reasonable value, even for Las Vegas. 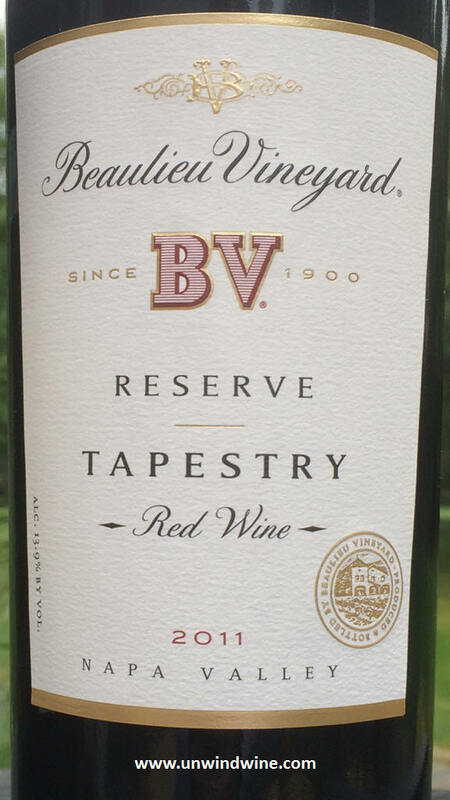 Dark garnet colored, medium bodied, floral aromas, ripe black raspberry and black cherry fruits, hints of mocha, coffee, bell pepper, oak and smoke with a firm Cab like tannin finish. 72% estate grown and 28% Carneros fruit. This is a meritage, meaning it is a Bordeaux Blend - Cabernet Sauvignon, Cabernet Franc, Merlot, and some Petit Verdot and Malbec. Another approachable easy drinking red ideal for this setting and cuisine. Dark garnet colored, medium bodied, black berry core with tones of cassis, graphite and clove spice and a hint of cedar on the moderate finish.